It’s not uncommon nowadays to find people working from home. With flexible working hours and work that can be done almost anywhere, a lot of former nine-to-five office workers are now able to work remotely. For most, it simply makes sense to forgo the commute, but that also means you need a space to effectively get your tasks done. Working from home has its perks such as more time with the furry friends and kids, but the sofa and dining table is not always the solution. Let’s get down to business and go over what you need for a hardworking home office. Read on! You need some horizontal working space and that does not necessarily mean you need a huge desk. Think about the kind of work that you do and assess how much space you need to do it. Maybe just a small nook with a few feet of built-in countertop is enough for you and your laptop. We have turned an unused closet into a desk and storage space for clients. Or a very cost effective solution is a piece like this shelving unit from CB2 with an integral desk, also requires minimum space. If you need a desktop monitor (or two), keyboard and some space to lay out paperwork, you will likely need a desk with some depth. Do you find that you are glued to your work for hours on end? Consider getting a height adjustable desk. Studies have found that alternating between seated and standing work throughout the day is good for your health and keeps you engaged and productive. You can find a relatively affordable option like the Skarsta from IKEA! Have a bigger budget? Why not consider Steelcase’s AirTouch height adjustable for anyone, anywhere. Already have a desk? Why not consider one of the Ergtron solutions available from Haworth. They have a variety of space-saving mounting options. Your next investment should be a good chair. A task chair that is fully adjustable should not be optional. Look for one that is height adjustable and has good lumbar support at the minimum. Your back will thank us! If you have the budget, there are some great task chairs from Herman Miller (we are partial to the Sayl which can be found in our office). Although a task lamp is usually an afterthought, it should really be one of the first few items you buy. You can get really inexpensive ones from IKEA or some really beautifully designed ones from places like Inform Interiors and YLighting ]. We like to think that a nice desk lamp is like the jewelry for your desk – and it glows! Why do you need a desk lamp? They help to reduce eye strain and if you get one that is dimmable, you can adjust it throughout the day. Of course, we cannot forget about storage. 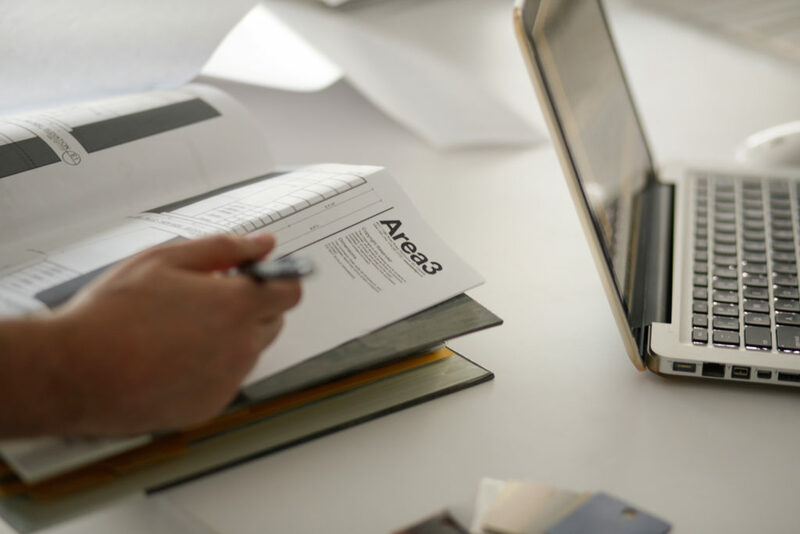 If you run your own business from home you will likely need room for filing amongst other things such as stationary, a printer, and other miscellaneous items. Do you have a small home office? Consider getting a custom millwork solution that gives you plenty of working space, open shelves, and storage behind cabinet doors. By keeping the messy clutter out of sight (but organized) you are able to make your small office feel more spacious. Need some inspiration? 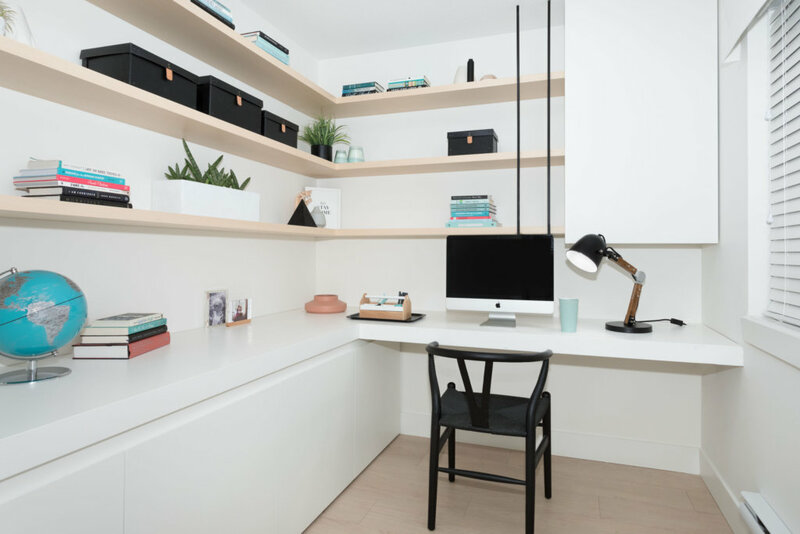 We designed some lovely home offices for The Smith and Berkeley Village that illustrates a hardworking home office. Looking for a new home is both extremely exciting and daunting. You have done your research and have found a few that you would like to see. Before you take the leap and make the big purchase there are a few things that you should check for. It’s always important to go into your home search with a clear objective and a list that you can refer back to. You might find something that is a deal breaker! Keep reading for 5 things you should look for in a new home. The same way you shouldn’t judge a book by its cover, you shouldn’t judge a house by its cover – or paint. Look beyond the fresh coat of color and focus on the structural stuff. A house with good bones is important and so are appliances, plumbing, electrical, heating and cooling systems. Also look for big cracks – especially where extensions are joined and bay windows which can bow away from the rest of the house. Décor is pretty, but it won’t last. Don’t be fooled by staging! There are many tricks that make a home more appealing to buyers such as cleverly placed mirrors, lighting, yummy smells (candles and freshly baked cookies), and a strategically placed electric fireplace. Will these items stay? It may make the home warm, inviting and look move-in ready, but can hide and distract you from the important things to check for. Like the Katy Perry song, you should check if you are hot or cold because that can determine your yes or no to a house. Heating and cooling systems are expensive to fix and replace, and inefficiency can add up and cost you in the long run. No one likes a big utility bill right? Check that the furnace is up to date and does not need to be replaced. If you live in a climate that can become very hot in the summer or cold in the winter (possibly both), good heating and cooling systems are important. No one wants to feel like they are being roasted in their home or sitting in a freezer. If you absolutely cannot stand the heat, find a home that has central air conditioning in place as it is quite costly to put it in and the work is fairly disruptive. Look beneath the countertops, open the cupboards and look under the sink at the pipes and check for leaks, water damage and mold. Not only is mold foul smelling and unsightly, but can cause health problems. It is especially important to check for it if you have asthma, a baby, or live with an elderly person. Also, check for watermarked walls or ceilings – signs that there are some leaky pipes that could be covered up by paint. Get your hands on everything – be careful of course! You should definitely test every light switch, power outlet, and faucet. You can assume that they should all work, but you don’t want to be taken by surprise. Open all the windows and doors, flush the toilets, run the bath and taste the water. Make sure everything works and is up to par. This way you can address the problems if there are any and see if there is a cost-effective solution. You’ve done your initial check, now get a professional to do one. They will check that the foundation and structure is solid and everything is up to code. They can even check for things such as lead paint and pests that you won’t see. This is absolutely something you shouldn’t skimp on and is well worth the money. Houses have defects and some are obvious while others are not. Many of these are fixable, but you should know what they are before you buy so you can negotiate a lower price and you are aware and prepared for any necessary repairs. 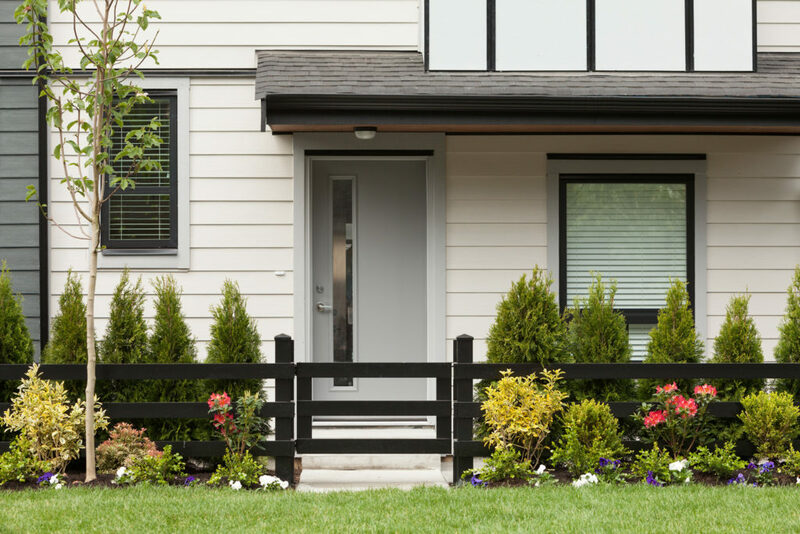 Small renovations can be fun, but big overhauls to your new home are probably not. Happy house hunting! If you have been on Pinterest or Instagram lately, you will have noticed the minimalist trend that has been going on for quite some time. It’s in offices, restaurants, and homes. We will admit that we love that look too, after all, we love white! While some may argue that it is stark and uninviting, it can also be serene. There is something about a space that is purposeful and is not cluttered with excess! So how can you achieve minimalism without going to the extreme? Keep reading for our take on living minimally. To live we need stuff and it is simply not realistic to go on a purge this weekend and rid yourself of 90% of your belongings – minimalism is a lifestyle. In a consumerist culture fueled by websites like Amazon, it’s very easy to accumulate more. We think that the first step to minimalism is to simplify. Slowly pair down to only what you need and go from there. Take some time to go through all your stuff and organize it. You might find that you have multiples of the exact same thing or you own many items that have not seen the light of day. Before you get something new, ask yourself if you already have it or if you really need it. It is easy to act on impulse! When you do go in search for something new, choose to purchase something of quality. Invest in pieces that are well-made and will stand the test of time. If you love it, you won’t find the need to replace it with something new! Mies Van Der Rohe is famous for many beautiful buildings, but his philosophy of “less is more,” is what has truly resonated through time. There is something to be said about a space that is not overly ornamented but is still intriguing and functional. Although the Barcelona Pavilion is an exemplary piece of design, it isn’t a home – a space for living. No one lives in a home with only a couple of Barcelona chairs! 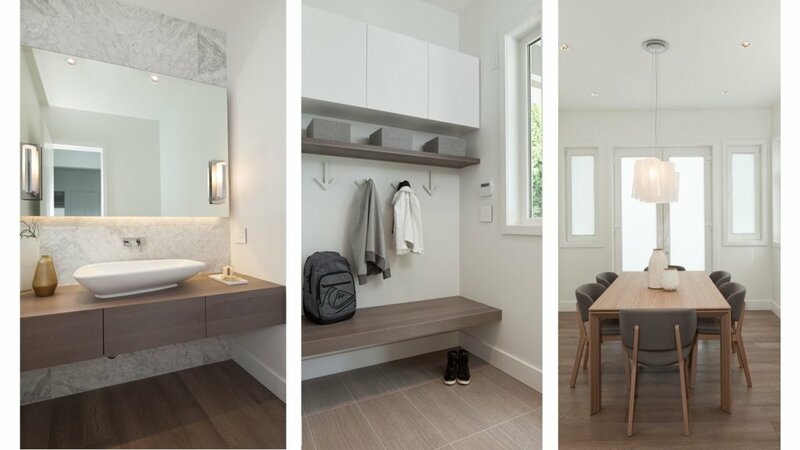 One way to achieve that minimalist look is to cleverly hide everything with built-in millwork. If there is a purposeful spot for everything, you are able to eliminate the clutter! How else are you supposed to keep your kitchen counter clear and clean? Aesthetically, keeping with a simple palette can also make a small space feel larger. Where there are too many colors and textures your space can tend to feel crowded. That doesn’t mean you shouldn’t add in a layer of complexity! Stick with neutrals, play with the different shades and mix up the textures, but keep in mind that less is more! We love the Scandinavian take on minimalism where spaces, furniture pieces, and objects are crafted from quality materials. These spaces are thoughtful despite their simplicity and are warm and inviting. It has been long awaited, but it is time to say hello to summer! Now that it is July it is safe to say that the Westcoast summer is starting to heat up. The days are long and mostly dry so why would you spend time indoors with the AC on? 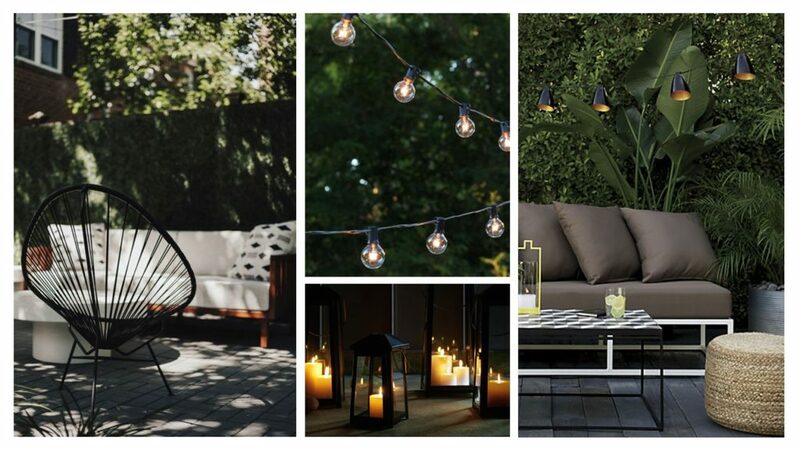 Warm weather means that it is perfect for spending your evenings and weekends outdoors. Do you live in a townhome with a little backyard or a condo with a patio? Take advantage of that special piece of real estate and create your own getaway – an outdoor urban oasis if you will! Keep reading for your essentials! 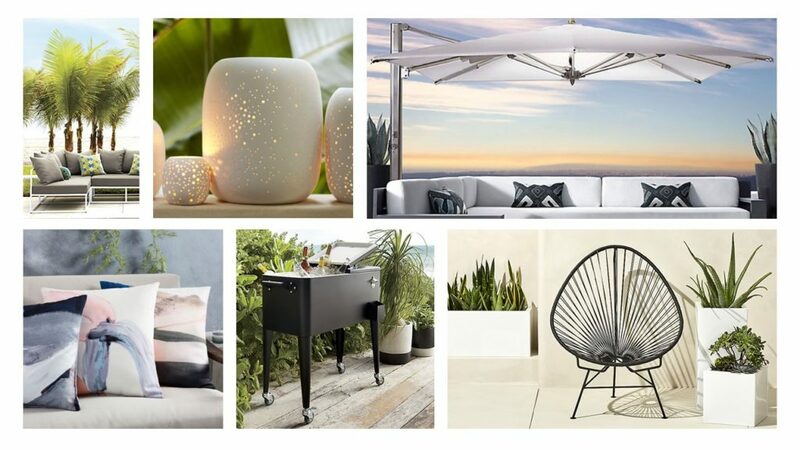 It’s time to give your living room a little break and take your living outside! First thing on your list to find? Some comfy lounge seating that does not involve wicker. If you have the space, invest in an outdoor sofa – no outdoor living room is complete without one! We like the casbah modular lounge seating from CB2. The simple frame topped with a thick cushion makes the pieces look light and comfortable, not to mention chic! It’s big enough to kick your feet up while reading a book or even to take a nap. Find an outdoor coffee table that’s not too big, but can accommodate a few drinks, food and maybe even a small potted plant! You can never go wrong with a bit of greenery. Also, add a couple of fun chairs like this Acapulco black egg outdoor chair from CB2 and you’re ready to have a few friends over. Got a little one who doesn’t want to be left out? Why not get them a matching chair that is kid-sized like this one from Crate & Barrel Kids. To make your outdoor urban oasis perfect for any weather – rain or shine – make sure to get a great umbrella. We think that the ones that are cantilevered work the best as they are out of the way don’t disrupt your social space. These cantilever umbrellas from Restoration Hardware are great looking. If you have a small patio, the Bramsom/Fliso patio umbrella from IKEA is the perfect solution and won’t break the bank. Of course, for those of us who like to entertain and enjoy a few beverages on our patio why not upgrade your cooler to something stylish like CB2’s rolling cooler? Made of cold rolled steel, comes with a drain, bottle cap opener and retro vibe, it’s sure to be a hit at any party. Lastly why not, add some stringed Edison bulb lights and a few hurricanes to set the mood. A few finishing touches could include toss cushions with a statement print like these from West Elm or these simple colorful and affordable Froson cushion covers from IKEA. Now grab that drink sit back and enjoy your evening in your outdoor retreat. 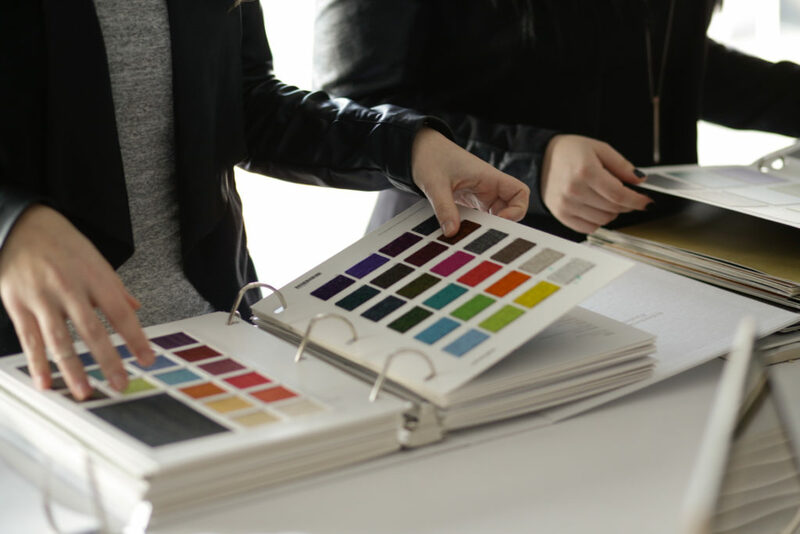 If we were to survey the general population and ask them what they think Interior Design is, what we Interior Designers do, and why they should hire us, we are sure a handful of myths would be brought up. We can thank the media, tv shows and networks for perpetuating that! Many people think that interior design is simply playing with a color wheel, choosing paints and fabrics and choosing pretty pieces of furniture and décor. We think that it is time to raise the curtains and debunk some myths about interior design and give you a glimpse of the multifaceted realm of our profession! It’s definitely true that we can create your dream space, but there is so much more than aesthetics! A huge part of our job is to understand our clients, their needs and wants and create solutions that are functional, safe and of course stunning! There are some parts of our job that are perhaps a little less glamorous such as determining space requirements, creating layouts, permit and construction drawings, and coordinating with consultants and reps at our desks – which is probably why the media never shows it! However, without these aspects, a project would never come together. Interior design definitely isn’t only about picking out finishes from our library and creating mood boards (although it can be fun)! This is a huge misconception and we will stop it right in its tracks because this is what prevents many people from reaching out to an Interior Designer for help. What truly is unaffordable for most people is the cost of fixing a big mistake. Sure, if you didn’t like the purple paint you used in your living room last year and you wanted it redone, it won’t cost you a fortune. 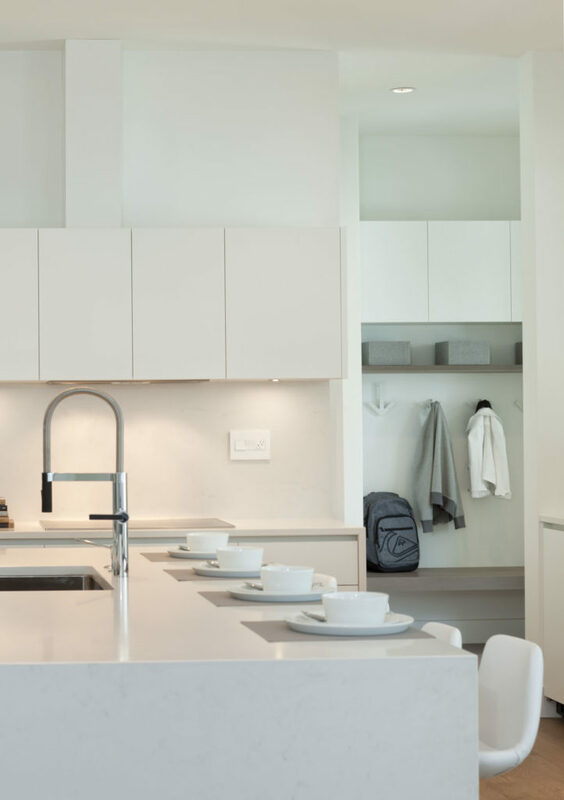 If your kitchen and bathroom renovation went south, however, it will likely cost you more than hiring an Interior Designer to remedy it. Large projects that require demolition, plumbing and electrical are probably best left to professionals. If you want to invest in renovating your home, don’t be afraid to look for an Interior Designer – we will work within your budget and ensure you are happy with the result! It will save a lot of headache in the long run. There is a stereotype that interior designers are mainly female and Architects are mainly male – which is both untrue. Both professions require spatial reasoning, critical thinking, and problem-solving inwhich both men and women can do! For all the guys who are considering Interior Design as a profession, you definitely will not be the odd one out. We will warn you though, earning a degree in Interior Design is not easy! With spring always comes something fresh – be it flowers or in the design world, some new products, inspiration or ideas. We have been keeping our eye out for what’s on the horizon and have decided to share some items that have caught our eye. Keep reading on for our current obsessions! As designers, we have many statements and a statement such as “we love chairs,” is not at all outrageous or surprising. Without chairs, life would be very different and a nice chair can make all the difference. Talk to someone who sits on the same one every single day if you don’t understand what we are talking about! Comfort is always key, but we also like the ones that are very visually appealing too. There are chairs that we love and will continue to use, but there are also some fabulous new designs! Every year in Milan there is a furniture fair called Salone del Mobile and the one this year concluded not too long ago. 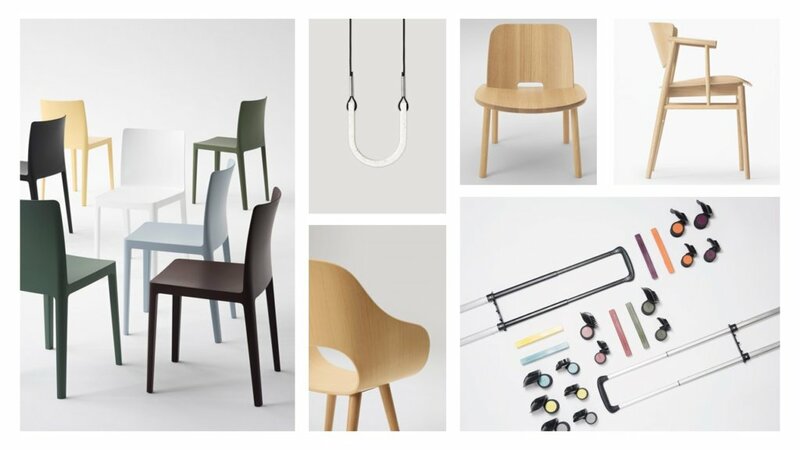 Maruni a Japanese brand, released a couple new wooden chairs designed by Naoto Fukasawa and Jasper Morrison. The Roundish armchair has a single piece of laminated plywood that has been bent and twisted to create an enveloping form – a beautiful fluid shape. Made using precision cutting technology, the Fugu chair is made from solid oak and has a gently curved seat and backrest that looks comfortable and classic. Another lovely chair that made its debut at Salone del Mobile was the N01 designed by Japanese studio Nendo for Fritz Hansen. This all-wood chair with structural elements made from solid wood while other elements such as the shell are crafted using Fritz Hansen’s plywood technique and nine thin layers of veneer – and is entirely produced by hand. We love the honesty in material that comes across in it’s simple and elegant design aesthetic. Sometimes as designers we have to work with a tight budget, but we never want to sacrifice design. Luckily, Danish brand Hay has launched a new range of minimal chairs that are as affordable (around 80 Euros) and simple as a “white T-shirt or blue jeans.” Designed by Ronan and Erwan Bouroullec, the Elementaire chair is polypropylene, but is robust enough to be a long-standing object and certainly is one of the most beautiful plastic chairs we’ve seen. There’s nothing “elementary” about this chair and would look great on a patio! While we can talk about chairs for days, accessories are always fun and exciting. As you are planning your upcoming summer getaway and looking for a new piece of luggage, why not customize your own? With three standard sizes, ROAM allows you to pick from their pre-designed cases or fully customize one to your liking. You will have no problem identifying your luggage next time you’re at the airport carousel! Looking for a new piece of jewelry? We’re loving the pieces from AR.M by Anna Rosa Moschouti a Greek-Dutch architect. Crafted from her studio in Antwerp, each piece is “[focused] on the importance of thoughtful design, responsible sourcing, and honesty.” The line includes earrings, bracelets, and necklaces that have a neutral palette and simple geometries. If you are a coffee and design lover – you will love the latest model by Nespresso. The Lattisma one silky white offers the perfect espresso, cappuccino, latte, and coffee with one touch, one capsule. We are so in love with this color I think it’s time for an office upgrade. Renovations are exciting yet daunting. Chances are, you have been waiting for ages to start a renovation and more and more items are getting added to the list. Some people choose to completely remodel their home in one go while others prefer to do it in small phases. There is no right or wrong as long as you have direction! If you don’t even know where to begin when planning a renovation, keep reading. We have outlined a renovation checklist for you to help you get started. Step one is to always have a plan. The three key components of this plan is a wish list, budget, and a timeline. Sit down and create a wish list – one column for what you want and another for what you need and number them according to priority. If you do not live alone, we highly suggest you do this with your partner as you will discover that your priorities may differ. The next step is to determine your budget. This is really important to do before you meet with a designer or contractor and be sure to build in some padding – at least 10% for anything unexpected. You will find that if your budget is tight, then you might only be able to knock off a couple items on that wish list or maybe it will mean that you will have to settle with a more affordable laminate instead of engineered wood floors. And of course, you need to figure out your timeline. If you only have one month before Christmas, then maybe tearing down the walls from your dining room to the kitchen isn’t the right item to tackle on your list. If you are not doing the renovation yourself, you will need to find a contractor and/or an interior designer. When looking for an interior designer, make sure they are reputable. We suggest hiring a firm or individual who is a Registered Interior Designer (RID) with experience. This important as they are not only trained and passed examinations, but also carry practicing insurance. We have two RIDs on our team here at Area 3 – Brenda and Kulpreet – who bring a wealth of experience and knowledge to every project. Experienced interior designers will also have relationships with reputable contractors that they have worked with and can recommend. This can save you a lot of time. Do a walkthrough or consultation with the interior designer and contractor of your space before a contract is drawn up. There may be an initial consultation fee for this, however, their knowledge and expertise will indicate any red flags, and help you identify what needs to be taken care of. It’s also a great opportunity to see if the designer or contractor are a great fit for you and your project (after all you will be working closely together). Finally, read through and understand your contract before you sign on the dotted line! Contracts can be based on a fixed fee, a fee plus mark up, hourly or even design-build. If you have a family member or friend who has had a successful renovation ask for a referral. Before your renovation can start there are always a few things to take care of. If you are doing a large renovation in your home you may need to move out for a duration of time. A building permit, or simple electrical or plumbing permit may be required. Be prepared this can add weeks to your project while you await approval. What will be your living arrangement? 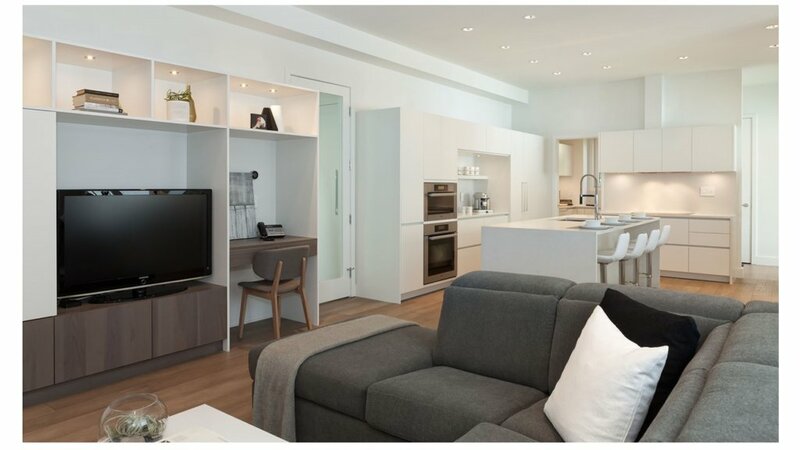 Maybe you can handle living in only half of your home, but where will the existing furniture go? You may need to rent a storage space to house those pieces until the renovations are complete. Can you function without your kitchen and if so for how long? If you live in a Strata, be sure to clear your renovations with them. There may only be a certain time that construction is permissible due to noise and waste might need to be stored in a location. Some food for thought before you get going! Let’s face it, vintage shopping is like treasure hunting. You have to go in determined and ready to unearth the most beautiful and one-of-a-kind item – sometimes to no avail. It takes patience to hop from one store to the next and it often takes hours to go through each of them! It seems that in fashion and interior decorating the key to getting that effortlessly cool, but the lived-in look is with a couple quality vintage pieces. Why settle for cheap knock-offs, like those infamous Eames chairs when you can have an authentic piece? They have a story to tell and add so much character. Before you go and tackle all the vintage stores in the city (there are tons), read on for our top picks! For those who don’t know, it’s no secret that we love Scandinavian design. The timeless and functional design combined with detailed craftsmanship make these pieces highly coveted. If you want to find an original here in Vancouver, your first stop should be Fullhouse Vintage + Modern in the Armoury District. Their large vintage collection focuses mainly on pieces from the 1930’s to the 1960’s and includes designers such as Finn Juhl, Hans Wegner, Arne Jacobsen, Hans Olsen and many more. A great place to find Mid Century Modern pieces from the 1950’s to the 1980’s is Attic Treasures. From chairs and tables to beds and lighting, there are some great furniture pieces to be found here – especially if you’re looking for teak! Relatively new to Vancouver is Gild & Co. which has a mix of vintage and new. Take a look here if you want something a little more glamorous – such as tufted sofas and gilded mirrors – alongside some modern Danish designs and rustic Canadiana antiques. The search for vintage clothing can be vast and for those of us who have a very particular taste that doesn’t involve wild colors or patterns, the hunt can be tedious. 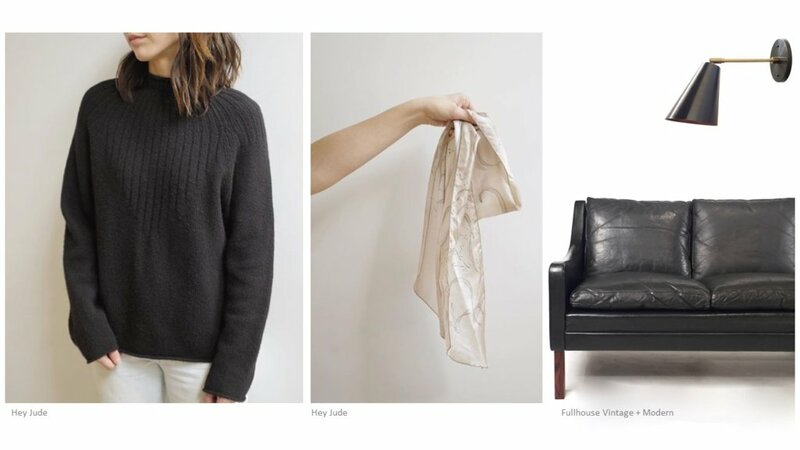 One of our absolute favorite stores to find vintage clothes is Hey Jude in Gastown. The small boutique is perfectly edited with 100% silk tops, tailored knits and worn-in denim which speak to a modern working girl aesthetic. Although the prices are in the mid to high range, you will have a headache-free shopping experience! Not too far away is Community Thrift & Vintage which offers more retro dresses, heels, and jewelry. What we love most about Community is that proceeds go towards underserved residents of the DTES. Hunter & Hare is another small boutique with fantastic finds. It has a curated selection of consigned items that include everyday basics to special-occasion attire that is gently worn. While you’re there you can also pick up a greeting card or a small crafted good such as a candle from local makers! Which vintage store will you visit first? Let us know with the hashtag #area3designvintage! Everyone loves binge-watching HGTV in their free time and get inspired to take on a big renovation project. The designers on these shows make it look so easy! Just demolish a wall here, add a light fixture there and maybe even a window. Then pick a few finishes, paint colors and some new furniture, art, and décor. Voila! Is it really that easy? Unfortunately, they don’t call it “movie magic” for nothing. Before you get too excited about ripping out portions of your home, please consider hiring a professional interior designer. No, our services are not free, but we will help you in areas you didn’t even think about. Trust us, you will lose a lot less money and sleep with our help! What a lot of people don’t know about the role of an interior designer is that we do a lot of project management. Depending on the size of a project there are a lot of people that will need to come on board such as a contractor, plumber, electrician, and millworker. It takes a lot of work to make sure everything is coordinated properly, and the result of the design is exactly as planned. Want to demolish a few walls? You are going to need a building permit and someone to put together that permit set – which is usually done by the interior designer. These things take time and it can take weeks before approval. If these things aren’t done right, you will need them redone, which will end up costing you quite a bit of money. It’s always better to have things done right the first time around! We work with the client’s team and trades. We can save you countless hours of running around from showroom to showroom, only to end up more overwhelmed than when you started. We can determine what products and materials best fit your aesthetic, budget and timeline. Budgeting is always a factor in a design – time and money. If you are tight on time, then your budget will need to grow. However, even if you have money to spend, there is still a certain amount of time needed for certain things to get done. As we were saying earlier, some things such as building permits can take weeks and if one part of the process falls behind schedule, a few other things will subsequently follow. Time needs to be allotted for custom millwork pieces, tiles from Italy and a table from Finland – a term we call ‘lead time’ in our lingo. These items don’t just show up in a few days! Time needs to be given to the substrates to get certain things done and in the right order. 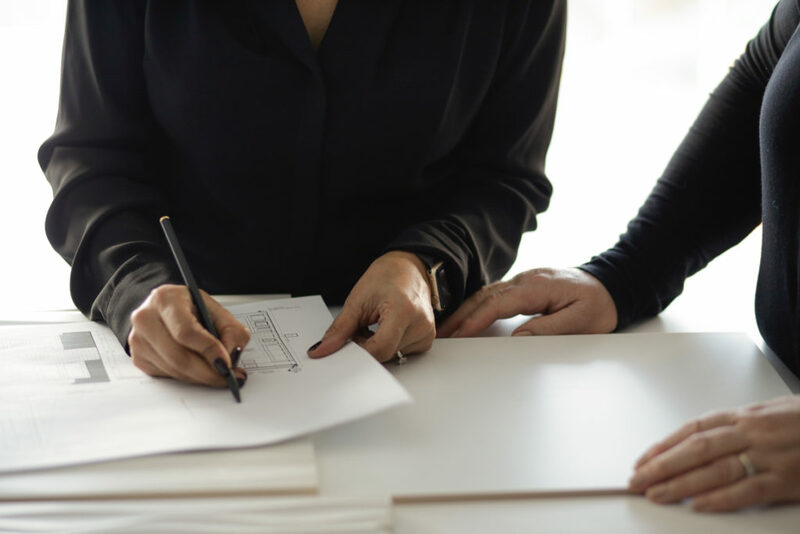 Interior designers will put together a project timeline that is realistic and keeps the project team in the loop to make sure the project is done in a timely fashion. Who doesn’t like things that come in on time and on a budget? We will make sure your project is done right with great design, thoughtful choices in materials, and attention to detail. We take the time to understand each client and their specific needs. 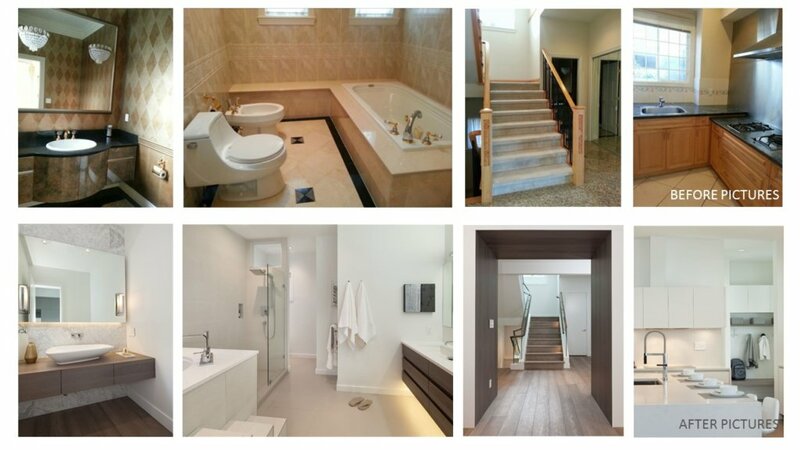 Below you will find a few photos of a past private residential project. This client had a young family and wanted to live here indefinitely. This was a home her children would grow up in. The open kitchen, dining and family room design encouraged more family time. The mudroom allowed for the kids to throw their backpack down and find a space for their shoes. The den was part mom’s space to manage the household bills, watch over the children doing their homework and showcase the family vintage encyclopedia collection. These are just a few ways an Interior Designer can help you with your dream project. Can you believe that it already springs? We can’t either! We’ve sprung forward and the days already feel much brighter and lighter. Why not translate that feeling in your home? By now we’re sure you’re already looking forward to some fun summer projects. Now is the perfect time to do some spring cleaning to make room for the new. Keep reading for our tips and tricks to purge, clean and refresh your home this weekend! Everyone dreads going through all their stuff and doing a good purge, but it is 100% necessary. Are you really going to wear those jeans you bought 10 years ago? Your closet is a good place to start when you start your purge. We will echo what many organizational experts have said before us and this is to have a keep, donate and toss pile. For the items, you decide to keep organize them by season and stow away those that are currently out of season. The bags that you can vacuum the air out of like these Space Bags from Ziplock are fantastic to help you store clothing without taking up much room. How about that food processor you got for Christmas that you’ve only used once. It’s probably time for it to find a new home. Unused kitchen appliances and gadgets take up a lot of valuable real estate in your cupboards. If you haven’t used it for years, you should consider giving it away. One of your friends might love it! Let’s face it, there’s a lot of things that need cleaning in your home, but there will always be a few that get overlooked or neglected. Your drapes and rugs are probably one of them. Yes, they are a bit of a pain to remove, but they also need some TLC. Wash or dry clean your drapes and shampoo or steam your rugs. You will be very surprised how dirty those get! Don’t forget to also clean your sofa upholstery. You’ve spent many days curled up there this past winter with your favorite cushions and throws, so it also needs a good clean! Make sure to use the appropriate cleaner for the upholstery on your sofa. Carefully read the labels so you don’t do any damage! Now that you’ve done some purging and cleaning, it’s time to give your home a good refresh. Those cushions, throws, and drapes you just cleaned? Why not swap them out for a few months for something different. Since they are not huge items (in price and size), you can easily update a few spaces in your home. Add a little bit of fun to your rooms by adding a splash of color or a new texture or pattern. Geometric patterns are back and pastel ice cream colors are also popping in. We like simple patterns like this Dash Black and White pillow from CB2 or how about a new throw like the Muuto ripple in a spring-inspired green available at Espace d.? Need a few storage ideas? 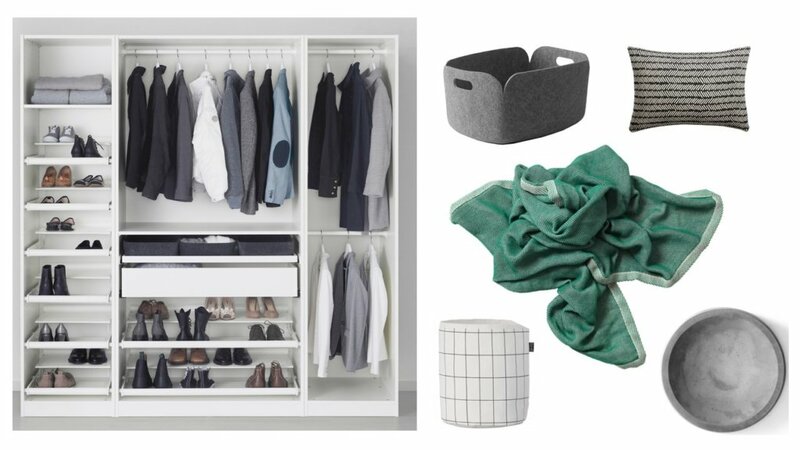 How about some modern baskets like the small grid from Ferm Living or the Muuto restore storage basket in multiple wool colors, great for newspapers and magazine, their concrete circular bowl can act as a catch-all on your coffee table? Feeling really ambitious might we suggest heading over to Ikea and start designing a custom PAX closet or storage system that will house all those shoes, dedicate exactly the right amount of space for hanging and folded clothes, and for us jewelry lovers you can add pull out accessories drawers for all your earrings, bracelets, necklaces, belts, scarves, watches……….. definitely on my to-do list this year!